Four years ago we bought a betta fish for Avery as a reward for giving up her soother. Since her soother’s name was Blue-blue, she named her betta fish after it, naturally. Blue-blue in his prime near his third birthday. Blue-blue is now four years old and when we tell other parents how long we’ve had the fish their first question is, “Is it the original fish?” Yes. A quick Google search reveals that the average life span of a betta is between two and six years, in fact. Still, it’s pretty much a miracle Blue-blue’s still with us. Sometimes we forget to feed him. We often go three weeks between bowl cleanings. He was even uprooted from his home during the Calgary flood. But Blue-blue keeps on swimming twice a day to retrieve his little food pellets from the top of the bowl. Between meals he kind of lays on his side at the bottom. He’s also changing colours; from a lustrous purple-blue to a mottled purple-grey. He looks like he’s dying, a fact that is not lost on Avery. 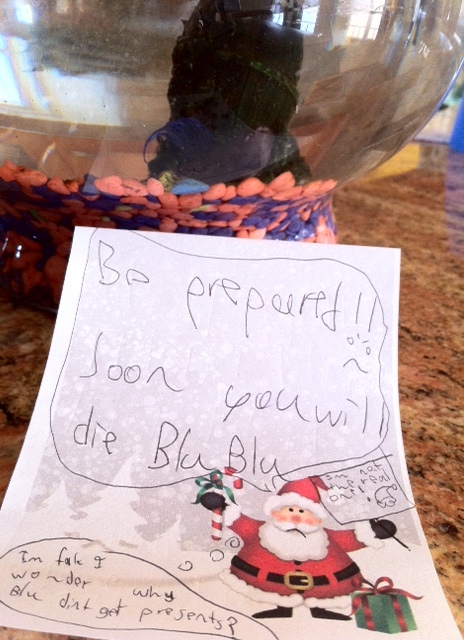 Blue-blue on the bottom of the bowl, next to this ominous note written by Avery about a week ago. 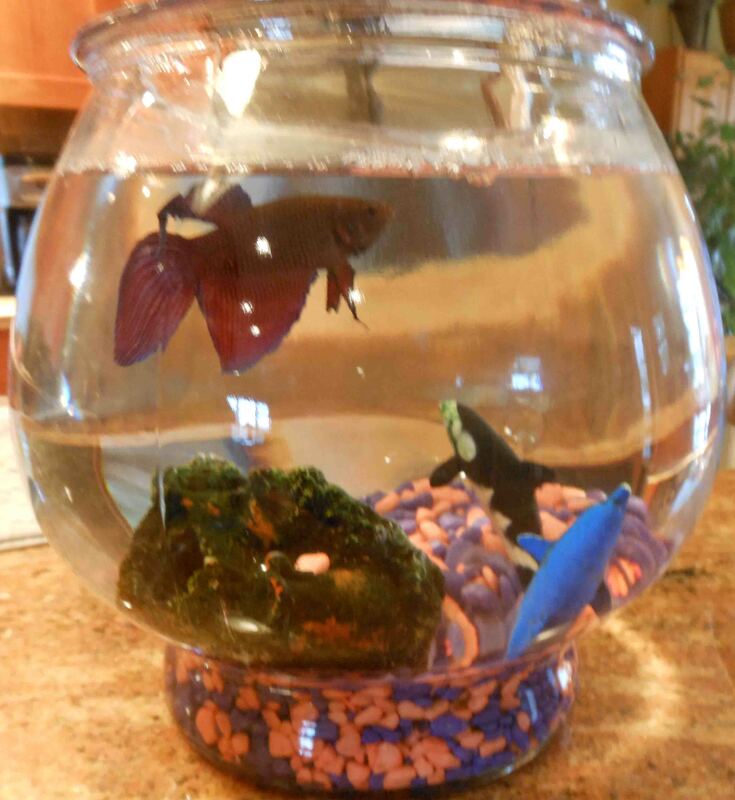 This entry was posted in Potpourri and tagged beta fish longevity, how long do betta fish live for. Bookmark the permalink.